Leaders from the British Chambers of Commerce (BCC), Northern Ireland Chamber of Commerce and Industry (NI Chamber), and Chambers Ireland are meeting in Dublin today (Friday). All three want to avoid a messy or disorderly Brexit, which would be hugely disruptive to trading firms and key transport links in all jurisdictions. A recent survey by the British Chambers of Commerce, one of the biggest on business opinion since the referendum, found companies in Northern Ireland would be particularly exposed to the ramifications of ‘no deal. The survey found that 20% of BCC Chamber members trade with the Republic of Ireland via air or sea, while 17% trade via the Irish land border. The figures highlight the importance of maintaining free flows of trade across the island of Ireland, between both jurisdictions on the island of Ireland and Great Britain, and from Ireland to European markets through the UK. 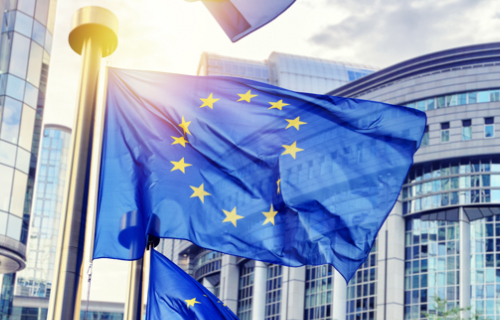 The business groups are warning the UK and EU27 governments about the importance of urgently reaching a deal, and ensuring a transition period is agreed to allow both businesses and governments to prepare for change and any new terms of trade. Only 37% of BCC members in the UK that trade with Ireland are already preparing for possible changes at the border or checks between the island of Ireland and Great Britain, rising to 59% of firms in Northern Ireland. The business leaders are calling on politicians on all sides to move quickly to reach an agreement that provides firms with the clarity they need to prepare for change, and to make every possible effort to facilitate the free flow of trade between the two islands for the prosperity of all. “NI Chamber member businesses have been clear from the beginning that whatever agreement is reached with the EU, it must result in no ‘hard’ border with the Republic of Ireland – or in the Irish Sea. Being able to trade as freely as possible with limited bureaucracy, along with the free movement of people, is vitally important for growing the Northern Ireland economy. “We welcome the visit of NICCI and BCC to Dublin. The relationship between our respective organisations has never been stronger and will be of great benefit as we navigate this extraordinarily turbulent period and forge a new trading relationship. “However, politicians must accept that businesses cannot operate on the basis of “snap” decisions but instead require realistic timeframes, so they can establish project plans, and allocate appropriate resources. Not having enough time to do so will inevitably result in unnecessary upheaval and economic pain.